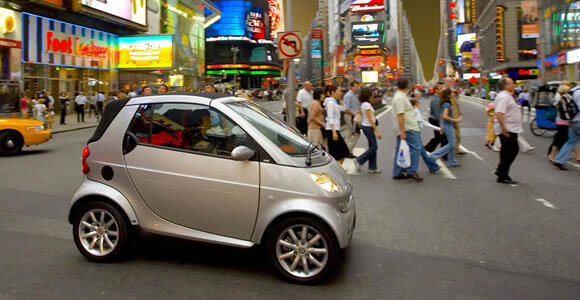 Smart is a brand of Daimler AG (the same people who make Mercedes Benz) with a focus on producing small city cars. Their unique design makes them easy to drive and park in tight spaces while have ample interior space for two adults. Their lightweight build and tiny engines give good fuel economy and low emissions. Despite their small size they also have an excellent safety record. The soft top version of the Smart ForTwo is particularly popular but it isn’t the only Smart convertible. The brand also put its name to the Smart Roadster and Smart Roadster Coupe in 2003 and although the little car was great fun to drive and highly efficient however sales slowed and the company were dogged by warranty claims mostly related to leaks in the cabin and luggage compartments often damaging expensive electrical components. Production was discontinued after only two years. Today many enthusiastic Roadster drivers have solved the problems and enjoy the rarity of these cars. The Smart Roadster was a short-lived venture that has threatened to be re-released under several brands but now seems unlikely to return. The new smart fortwo cabrio is unveiled at the Frankfurt Motor Show making it once again, the only fully convertible city car.